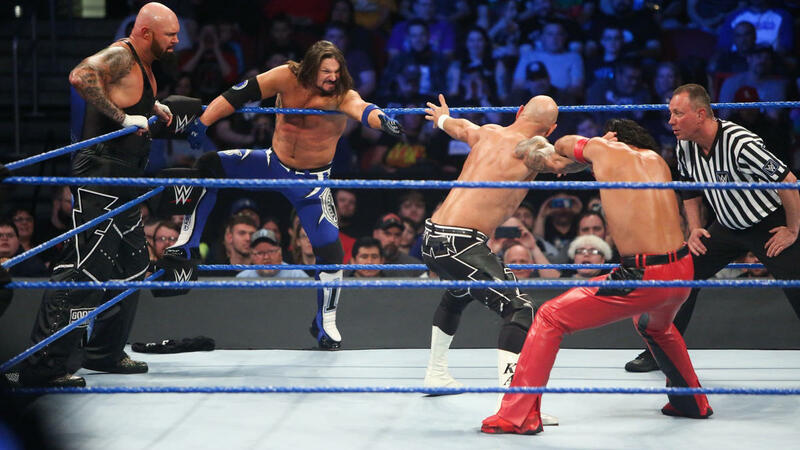 WWE Champion AJ Styles, U.S. Champion Shinsuke Nakamura, Luke Gallows and Karl Anderson are all set to have their contracts expire in early 2019, according to Dave Meltzer on Wrestling Observer Radio. Meltzer noted that they all had signed three-year deals with WWE in 2016, and Styles and Nakamura’s deals expire in January. Meltzer noted that New Japan Pro Wrestling has “absolute interest” in bringing Nakamura back to the company. With NJPW’s expansion, Nakamura’s name value has increased dramatically since his WWE debut. The Orlando crowd erupted into cheers at the 2016 Royal Rumble pay-per-view event when Styles made his WWE debut. Styles held the WWE Championship for 140 days before the year was over, giving him a great start to his WWE career. He is still WWE Champion in his second run with the title, and addressed the idea of re-signing with WWE during a March 2018 interview with Raute Musik. Daniel Bryan’s WWE contract expires on September 1st.